Good Evening, we are actually enjoying some late summer sunshine in the South of England but the evenings are drawing in and the sun is less high in the sky each day. The sunsets seem deeper and more intense at this time of the year. I have used this as inspiration for my Design Team make for Visible Image. 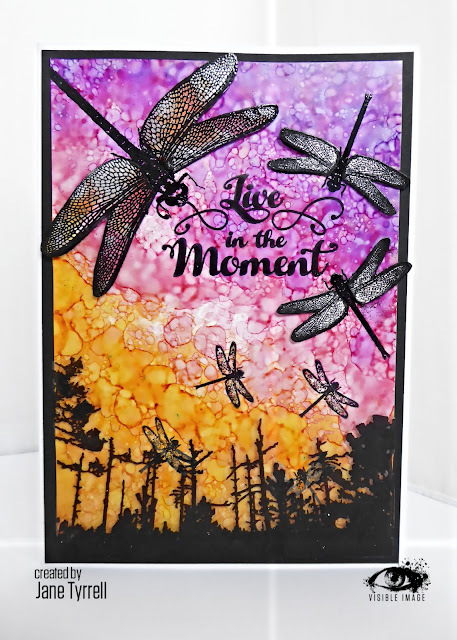 I got out some alcohol ink and yupo and made this background. 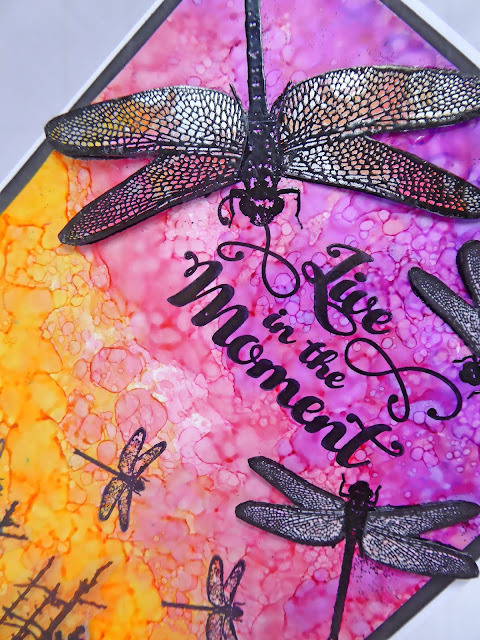 I stamped the large and medium dragonflies onto card and added some pink and red Wink of Stella for some sparkle. 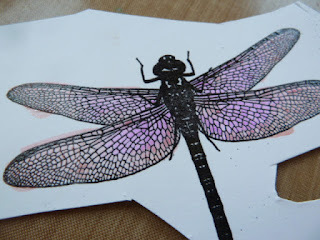 I cut out just the wings. 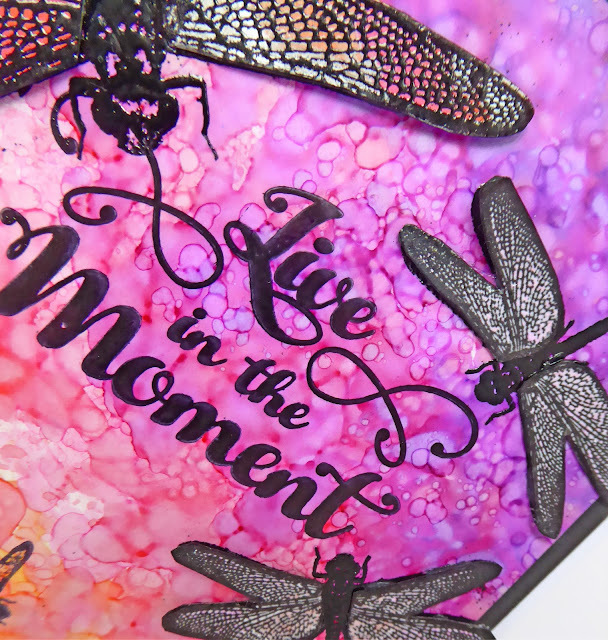 I then added 2 layers of into the woods, one on acetate to add depth to my card. I also added the extra wings. 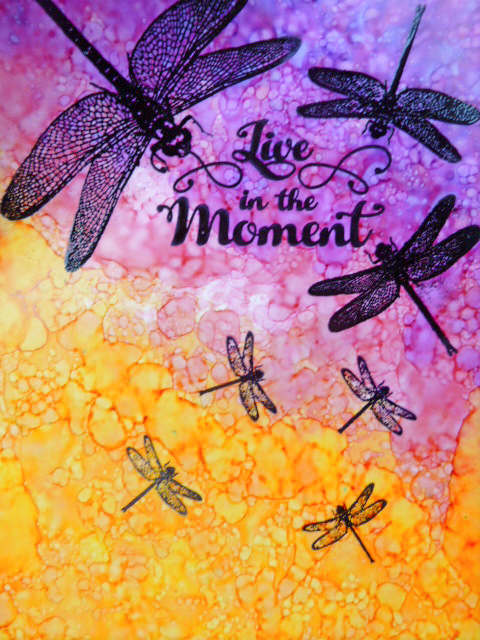 Thanks for stopping by today, remember to try to “live in the moment” as life really does flash by and we need to savour being in the here and now. We will be back soon with some fantastic Wonderland inspiration from Lisa Taggart, featuring the awesome White Rabbit! This entry was posted in Sentiment stamps. Bookmark the permalink. ← You Are Not Alone..